From them to me to you. 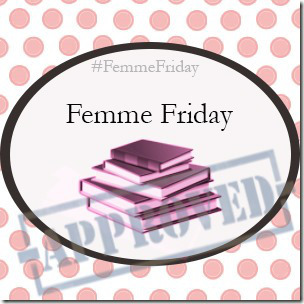 The FemmeFriday tag was created by Vicky @ Books & Strips to show some love to all the female authors and characters out there in this man’s man’s world. Post this tag post on a Friday. Tag three to five other bloggers (female or male, doesn’t matter). Post the Tag image with this. Link back so there’s a pingback in the comments section for others to check out.